Treat your pet to a well-deserved day at the spa. How better to pamper your pet than with a relaxing groom to make them feel as special as they are? Our groomers are experienced and will cater to your pet’s individual needs. Bathing. 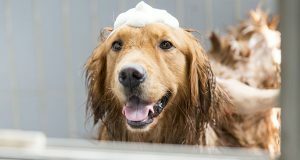 Treat your pet to a luxurious bath. Our special, cleansing baths remove dirt, debris and that doggie pet odor – your pet will feel fresh and revitalized. If scratching is a problem, our medicated baths contain soothing agents that stop the itching. Services also include nail trim and ear cleaning. P. S. Cats need grooming, too – especially during the peak shedding seasons of spring and fall. 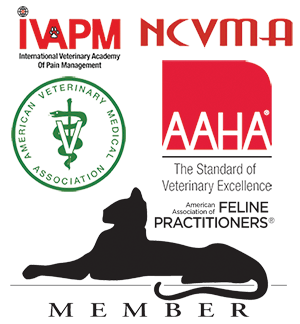 Special grooming services include nail trims, even for the fussiest feline!